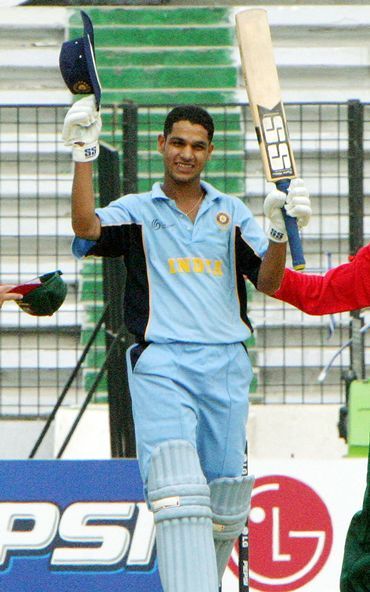 Shikhar Dhawan gave notice of his talent when he scored 126 from 124 balls in the Challenger series of 2005. But it took him five years to make it to the Indian squad. Shikhar Dhawan will certainly remember the cracking century he scored in the Challenger Series of 2005. On that occasion he even upstaged Mahendra Singh Dhoni, who also blazed his way to a hundred. Playing for India Seniors, Dhawan top-scored with 126 from 124 balls while Dhoni was unbeaten on 102 from 96 as their team beat India 'B' by eight wickets. However, Dhoni's life changed big time after that knock, while Dhawan slogged for another five years in first class before getting his big break. Interestingly, Dhoni has entrenched himself as captain of the Indian team while Dhawan is on the verge of making his international debut. The wicketkeeper-batsman revealed on Tuesday that the Delhi left-hander is set to play in the Wednesday's second One-Day International against Australia in Visakhapatnam. Dhoni recalled how being a wicketkeeper he could easily force his way into the Indian team, while Dhawan faced a stiff challenge to get his India cap. "Both of us scored a century in that Challenger series match that we played in Mumbai and I got a chance to play for India because I was a wicketkeeper-batsman and I had to fight with five or six players, or, at the most, ten. But being a batsman you have to fight with more batsmen and you have to consistently do well," Dhoni said. Dhawan, 24, first made headlines during the Under-19 World Cup in Bangladesh in February-March 2004 scoring 505 runs in seven games at a whopping average of 84.16 with three centuries. The only other player from the Under-19 World Cup, where India lost in the semi-finals, to feature in the current Indian team is Suresh Raina. Robin Uthappa, Dinesh Karthik, RP Singh and VRV Singh all played for India before being shown the door after inconsistent performances. Dhawan then showed his prowess in domestic cricket, where in his first season for Delhi, he scored 461 runs in six matches to finish as their top scorer in the Ranji Trophy season 2003-04. He has since continued to perform consistently in domestic cricket, where his tally reads 3526 runs in 52 matches at an average of 45.79. In List A games, he has scored 2857 in 72 games at an average of 46.08, with eight centuries and 13 fifties. The left-hander also played a crucial role in Delhi's Ranji Trophy title triumph in 2007-08 under Gautam Gambhir's captaincy. In the tournament, he aggregated 570 runs in eight matches at 43.84, including two centuries and two fifties. Even in the Indian Premier League, Dhawan gave a good account of himself, scoring 340 runs in 14 games in the inaugural season, in 2008. He hit four half-centuries to help the Delhi Daredevils make it to the semi-finals, where they lost to the eventual champions, Rajasthan Royals. In the following season, he was snapped up by Mumbai Indians in exchange for pacer Ashish Nehra. But he failed to make an impact with the bat for Mumbai as he aggregated just 40 runs in five games before finding himself out of favour. 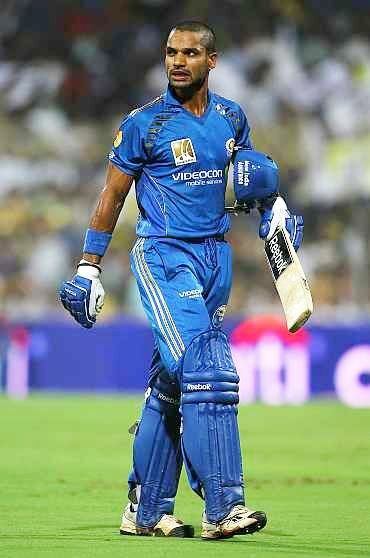 Dhawan showed improvement in the third edition of the IPL, scoring 191 runs in 10 matches, which included two fifties. 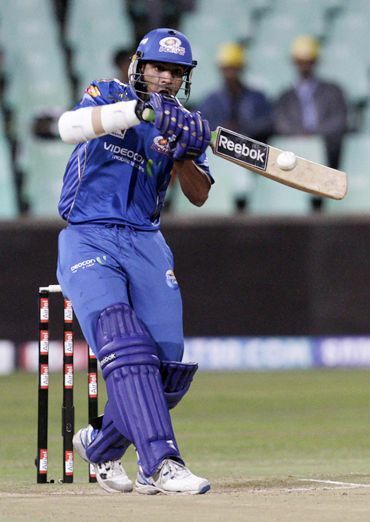 That was preceded by a super showing in the Ranji Trophy 2009-10 season, where he scored 451 runs in five matches. And it was hard to ignore Dhawan's case, as he played a vital role in India Blue's victory in the NKP Salve Challenger Trophy tournament. He scored a century in the league match and finished as the third highest scorer in the tournament, with 153 runs in three matches. With seniors players like Sachin Tendulkar, Virender Sehwag and Gautam Gambhir rested for the three-match ODI series against Australia, the selectors had no choice but to call-up Dhawan. Dhoni was pleased that his former team-mate had finally got the chance to prove his worth in international cricket. "It is good that he has got the chance finally and I am hoping he will score and the bench strength will become stronger when it comes to the openers," he said. Even if Dhawan does make an impact in the series, it will be virtually impossible for him to make the World Cup squad. As Dhoni admitted: "As an opener it is quite tough, because you have Gambhir, Sehwag and Tendulkar in the same side, so you have got three openers playing in the eleven." One thing is sure: Dhawan won't mind waiting!